Imagine a world where you lose everything – the love of your life, your basic functions of movement and the will to live. That’s the end of the line for some people. The final road to pass through upon death, this is what happens to Grey Trace (Logan Marshall-Green). Writer and Director Leigh Whannel (Saw & Insidious) brings us a story of a man who seeks to find the people responsible for the death of his wife and his paralysis. Whannell’s vision is awesome to look at and the violence on-screen can be quite graphic, but the end result is a unique look at artificial intelligence that feels like Ex Machina meets The Terminator. One thing to mention right off the bat is that this picture takes place in the future, though a year is never mentioned. This is something that I wasn’t aware of going in and man, was I surprised by this. Everything is basically run by computers. There are police drones in the sky, self-driving vehicles and intelligent homes that will remind you of your schedule and if anything is needed for the shopping list. Grey is totally un-impressed with the idea of computers putting people out of work; he’s a hand-on guy. Speaking of which, he’s a mechanic and nothing brings more success than knowing you accomplished something yourself without the use of technology. Grey’s wife Asha (Melanie Vallejo) works in the technology field helping wounded vets get computerized limps once they return home, something to make them feel like they have some life left in them even though something is missing. Well, assuming you’ve watched the trailer, Grey and Asha are involved in a car accident and mugged, but not before a tragic and life-changing event occurs. Asha is dead and Grey is left in a wheelchair paralyzed from the neck down. Through the help of someone he knows, Grey undergoes a secret surgery that results in him being implanted with a chip-like device named STEM (voiced by Simon Maiden). STEM is not only advanced, but is able to improve Grey. He can walk again, move his arms and perhaps figure out who ruined his life, leading him to seek the answers. What’s interesting is the relationship between these two. They can communicate with each other even though no one would be able to hear them. I love the conversations they engage in. STEM can even protect Grey when things get nasty. He can eliminate his pain receptors and give him fighting abilities that he doesn’t have to train for. Why can’t I have this!? As the story progresses, the violence begins to pick up, and since Whannell is one of the creators of Saw, you can guess that Upgrade has plenty of blood on-screen. The violence didn’t interest but the questions that the movie raised about the future and artificial intelligence did. The ending is also very interesting and I saw four people actually leave the theater and not return. If you think this is a movie simply about revenge, you’ll be in for a treat. Upgrade has a lot of things going for it: pitch-black humor, bloody violence, interesting questions and guys who have shotguns implanted in their arms! Yes, I’m not kidding here. Whannell has crafted a fantastic looking future on such a small budget which is great since most of the movie is focused on the characters instead on fancy CGI. The story is developed in a slow pace so that we can come to understand each character and what is going on. Logan Marshall-Green is spot-on here and there’s one moment where he’s fighting someone and upset by what is happening because STEM has taken over — it’s great watching him. 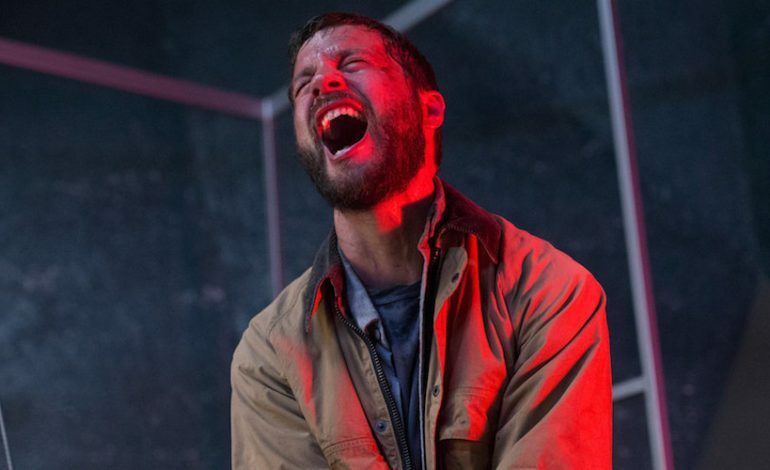 Upgrade is a sci-fi experience built on ideas instead of a typical flair of CGI overload and the result is a worthy one not to miss.